Why do we keep singing together? To provide a clear answer we must explore two fundamental aspects of worship: why we sing and why we assemble. The Bible uses imagery in the Old and New Testaments showing God as a gatherer and shepherd of His people. Music was a vital part of worship in the Old Testament. This was not a mere human invention being offered to God. Rather, it was a divine gift God offered to man to assist his worship. We keep singing together because it is a divine design of heavenly worship practiced here on earth. While there is no universally accepted definition of worship, there is at least common agreement that it is the gratitude filled response of the created to the loving Creator. 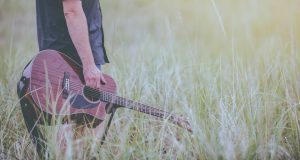 Gathering together and praising God through musical expression reaches down into the depths of our being to give heart, emotion, and wings to our words. Worship is a gift that God has given to man to relate to Him. 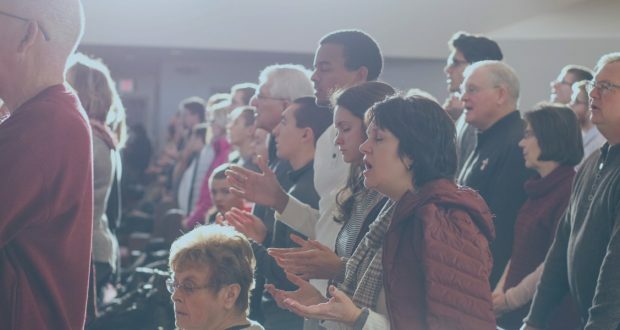 Whaid Rose and Israel Steinmetz write, “we were created to worship…we will either worship the true God or we will worship an idol, but worship we must.” 3 Whether we want or acknowledge this gift, we all use it. If used the way God intended then we will be in a place where He is pleased. Our worship is a response to God’s initiatives and redemptive actions. Assembling for such a purpose is also a divine initiative. It was God who called His people together for worship. We see God miraculously rescuing His people from Egypt. He gave Moses the message to Pharaoh to let His people go so they could worship Him. Upon exiting Egypt, we see God gathering His people for worship at Mount Sinai. Webber argues that the act of God gathering His people is a consistent theme of worship. A call from God to worship is a pre-requisite of true worship. 4 Thus, God is the Great Assembler, the Gatherer. Gathering for worship is an obedient response to God. As such, God has always provided a place for His people to gather for the purpose of worship: the foot of Mount Sinai, the Tabernacle, the Temple, the Synagogues, and now the church. It is well then that the book of Hebrews encourages us not to forsake the assembling of ourselves together (Hebrews 10:25). Interestingly, the Bible does not define what acts of worship should look and sound like when we gather. Worship, therefore, has evolved over the different historical time periods. It also looks different from region to region and culture to culture. 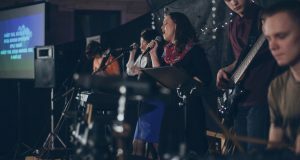 Though worship has changed throughout the ages two of the elements that have remained constant are: gathering together and the use of singing in worship. Our voice is the first and most basic musical instrument God has given us. We do not need any created instrument to make music for God. One person can make such a beautiful sound with their voice that it can reach past the ear of the hearer and touch the heart and the soul. Singing has been a fundamental element of worship offered by God’s people in response to His saving work since at least the time of Moses. It is difficult to find a period in history where singing was not part of worship. You can trace the practice throughout history up until now. And incredibly, the small glimpses of future worship found in Scripture are punctuated by singing (Revelations 5:8-9). It is commonly accepted that the Bible does not provide a concise definition of worship or a specific mode of worship. 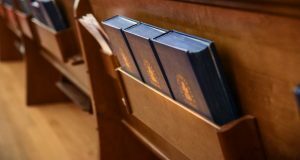 However, there is solid theological foundation to argue that there are some elements of worship that we can reasonably say are divinely ordained by God. We see in the Old Testament an example of how particular God was with His instructions to the Israelites on how to keep the Passover. In the New Testament the book of Hebrews tells us not to forsake gathering as a church. Throughout the New Testament, we see many examples of corporate worship from Jesus making it His habit to go into the synagogue on the Sabbath to Peter and John going to the temple to pray, to Paul and the Apostles doing the same. The assembly of God’s people for the purpose of worship is timeless and never loses relevance. It is not a generational or cultural practice, it is a divinely inspired worship environment. God knows we can worship individually and privately, however, God built us to function best together. Corporate worship is a spiritual exercise and a call to obedience. We don’t come together to sing. We sing because we are together. And when we join together in praising God, singing allows our voices to join together in harmony. This is the worship we see in Heaven in the book of Revelation. One day we will join that worship scene. Therefore, we are participating in a worship here on earth that is a type of that which is to come. We keep singing together because we are celebrating the finished work of Christ on the cross. We do so from the depths of our being because it is a heavenly picture of what worship should be.